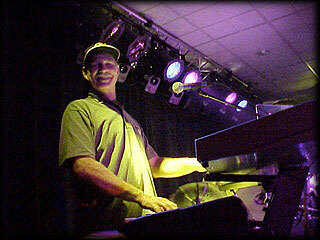 Stan Flaming, keyboards/vocals, began playing piano at the age of 8. Then, when the Beatles came around, switched to guitar. By his senior year in high school, he was playing lead guitar in Colony, a very popular band in the Fresno area. Later, he switched back to keyboards to join the Christian band "Livingstones". This is where he met "Wishes" bassist, Jim Belt. Both went on to join "New Covenant". Later, it was Jim who asked Stan to join "Wishes were Fishes" so a new keyboard facet could be added. Stan now owns and operates WindSpirit Recording, where he mainly records Christian artists. 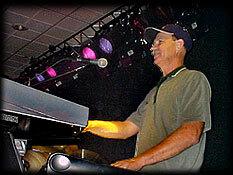 He plays keyboard on many sessions for various artists coming through his studio.He is a lifelong member of the First Mennonite Church in Reedley, Ca. Stan's keyboards are a Korg 01/W pro, a Korg T-1, and an EMAX sampler by Emu. They sit on an Ultimate Support tri-stand.